A message from the board chair. Vision, innovation, creativity, and heart. That’s a powerful combination. 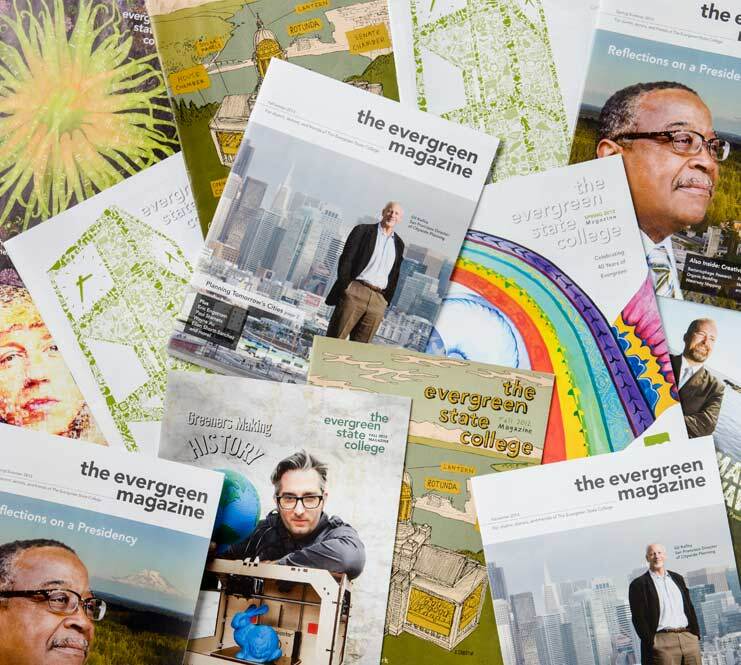 Evergreen’s new president has a passion for social justice and the liberal arts. He came to the right place. Michelle Glatt ‘95 works on bringing health care to the highest places. Faculty member Neil Switz and team develop a smartphone microscope to aid in the fight against river blindness. Polly Newcomb ‘79 leads cancer prevention at Fred Hutch. The Longhouse celebrates its 20th anniversary with plans for an indigenous arts campus. KK Pandya ‘05 is using 3-D printing to connect with his patients. Greeners blend health with technology.